The Hirbemerdon Tepe Archaeological Project was initiated in 2003 as part of a broader cultural heritage rescue project associated with the construction of the Ilısu Dam and planned as part of a scientific collaboration between the University of Catania, the Istituto per l’Africa e l’Oriente and the Archaeological Museum of Dıyarbakir. The site is located on the western bank of the Tigris river about 100 km southeast of the modern city of Dıyarbakir. During the 10 years of archaeological work performed at the site 11 archaeological phases were recorded starting from the fourth millennium BC until the XIXth century AD. 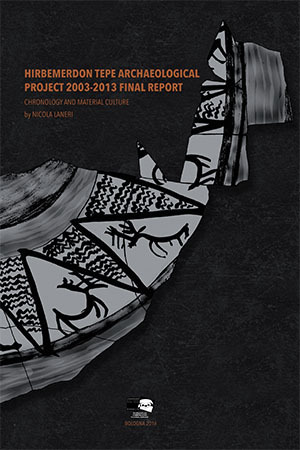 This volume represents the final report on the studies of the material culture belonging to this long chronological sequence that was unearthed during the excavations and aims at allowing the interested scholars at reconstructing the history of the settlement as well as a broader sociocultural landscape that involved other social groups inhabiting the upper Tigris region as well as other Anatolian and Mesopotamian regions. Nicola Laneri teaches Archaeology of the Ancient Near East at the University of Catania and during his career has organized conferences, panels and workshops as well as presented papers at internationally recognized meetings and institutions. He published more than 80 scientific articles in journals and books such as The Hirbemerdon Tepe Archaeological Project 2003-2013 Final Report: Chronology and Material Culture (Bradypus 2016), Archeologia della morte (Carocci 2011), Biografia di un vaso (Pandemos 2009), I costumi funerari della media vallata dell'Eufrate durante il III millennio a.C. (L'Orientale 2004), and the edited volumes Performing Death: The Social Analysis of Funerary Traditions in the Ancient Near East and Mediterranean (Oriental Institute of the University of Chicago 2007), Looking north: The socioeconomic dynamics of northern Mesopotamian and Anatolian regions during the late third and early second millennium BC (Harrassowitz 2012) and Defining the Sacred: Approaches to the Archaeology of Religion in the Near East (Oxbow 2015).